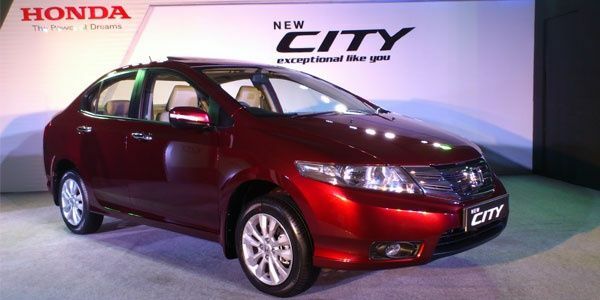 Been holding out on your Honda City purchase? Honda SIEL has just made your day. The company has launched a refreshed City which now starts at Rs 6.99 lakh (ex-showroom, Delhi), which is around Rs 50,000 less than the cheapest version available earlier. This new version called the Corporate edition will feature grey/black interior upholstery as against the beige interiors on the rest of the range. Honda also used this opportunity to refresh the cars looks adding new features as well making it better value then before. The car now gets a chrome finish grille, restyled rear lamps, new rear bumper and turn indicators in the side view mirrors. The top-end V versions will now get 10-spoke alloy wheels as well as the option of an electric sunroof. On the interior front you get all new blue-lit instrument cluster as well as chrome finished door handles. Honda have also been listening to customer feedback and raised the ground clearance of the car by 5mm. The overall length has also gone up by 20mm thanks to the new bumpers. All these changes make a good car even better value now, making it an enticing buy and also ensuring that rivals have got something to think about. this news has taken from BBC topgear. From the start Honda City is just a budget car - it should be priced at 5- 6 Lacs and compete with Indigo otherwise it will disappear without any trace. The premium pricing strategy is reducing its credibility to extent of having more illiterate buyers. Internationally Honda sells more to students. I read your blog,its awesome.If anyone wants to Buy Honda City Tyres Online in lowest price.